Capacity 5 - 8 oz. 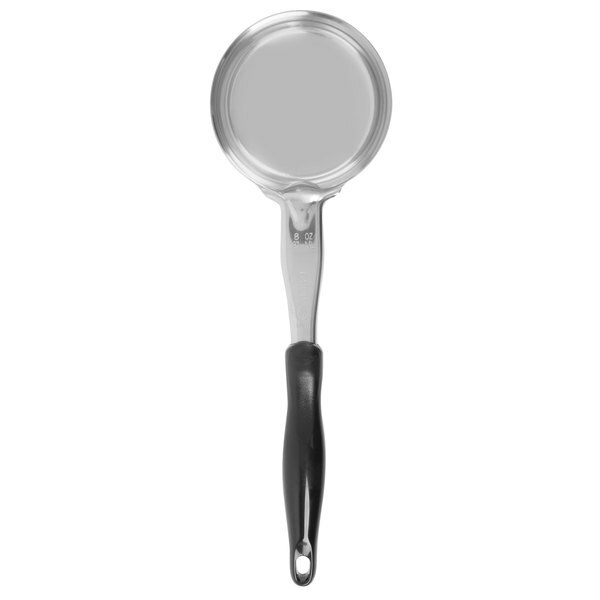 In order to meet your service needs meal after meal, both the mirror-finished 18/8 stainless steel shaft and bowl resist corrosion. 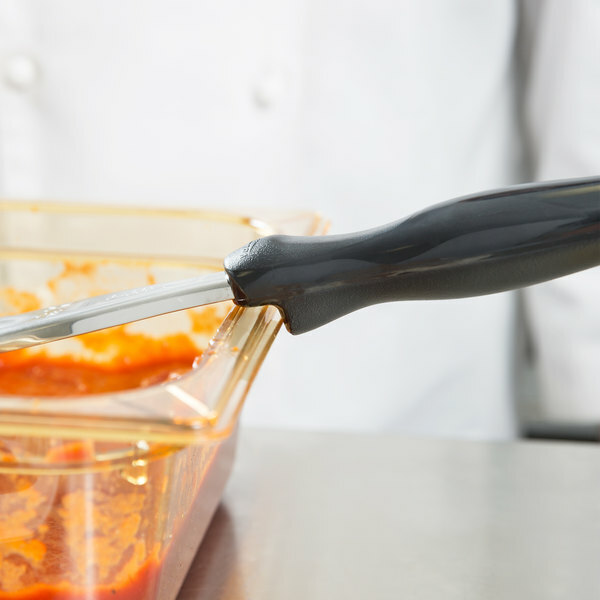 The high temperature nylon handle, made of antimicrobial material, is able to withstand temperatures up to 450 degrees Fahrenheit, making it ideal for hot food applications. This one-piece spoodle is both durable and sanitary for long-lasting use in busy environments. For identification purposes, this spoodle adheres to Vollrath's color-coding system and features a clearly stamped capacity on the shaft for easy recognition when in a hurry. 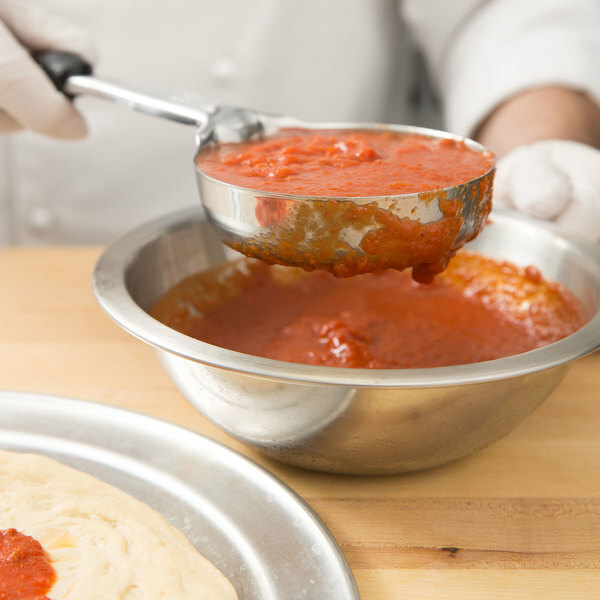 The Jacob's Pride collection from Vollrath includes the most durable, high-quality food service products, and this spoodle is no exception. Backed by the Jacob's Pride lifetime warranty, it will provide consistent, top-notch performance, even after repeated use! 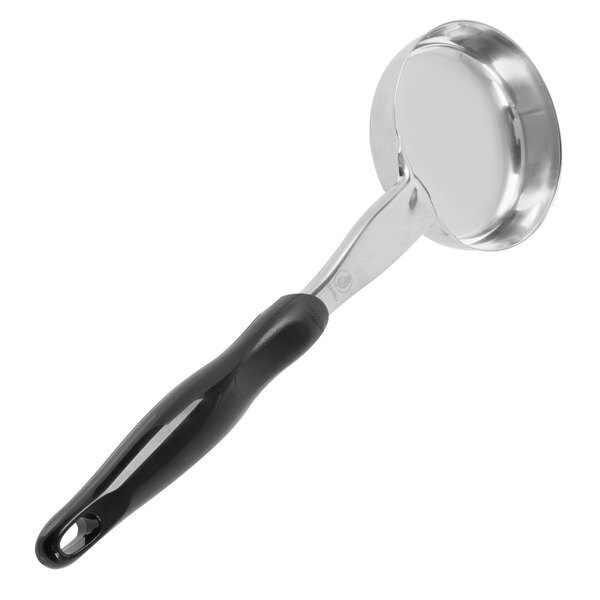 This item is part of Vollrath&apos;s Jacob&apos;s Pride collection and is engineered and tested to deliver maximum performance and exceptional durability. 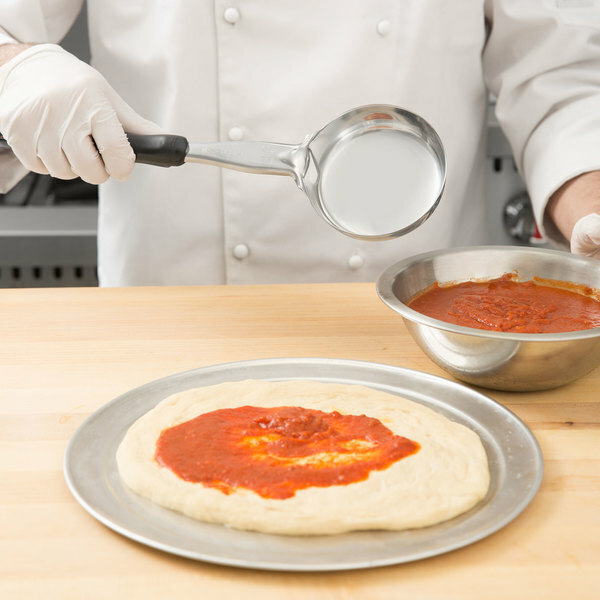 Every product is so tough, Vollrath stands behind the entire line with a lifetime warranty. 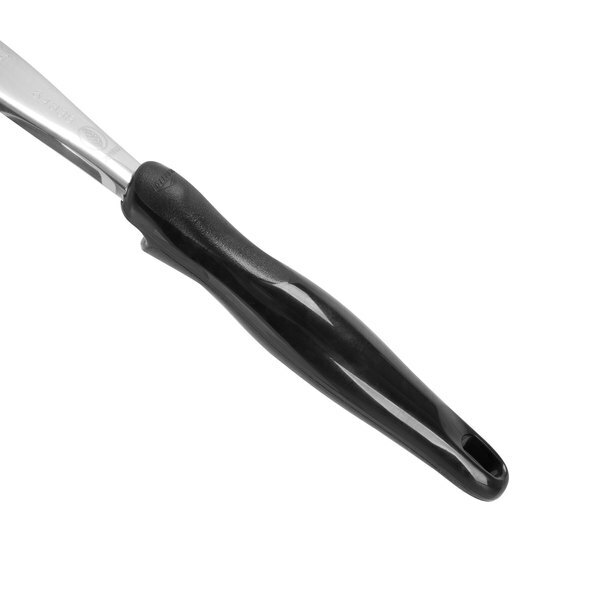 What a sweet black handled round spoodle! 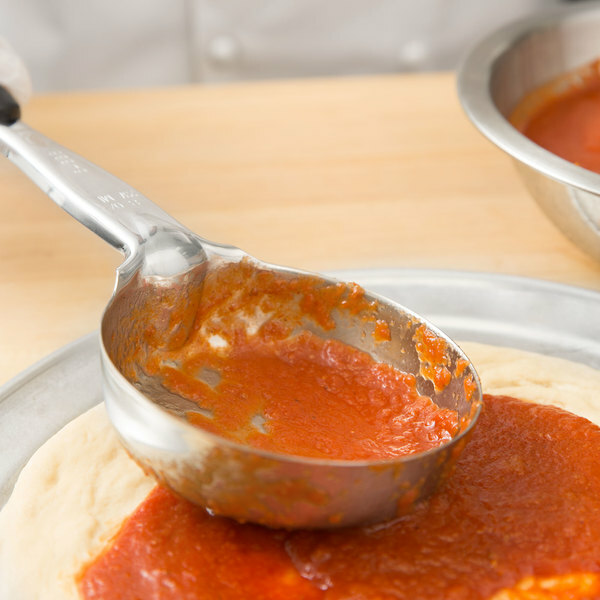 Great for portioning sauce and even scooping batter! Very well built and nice finish makes it an attractive addition to any kitchen! !